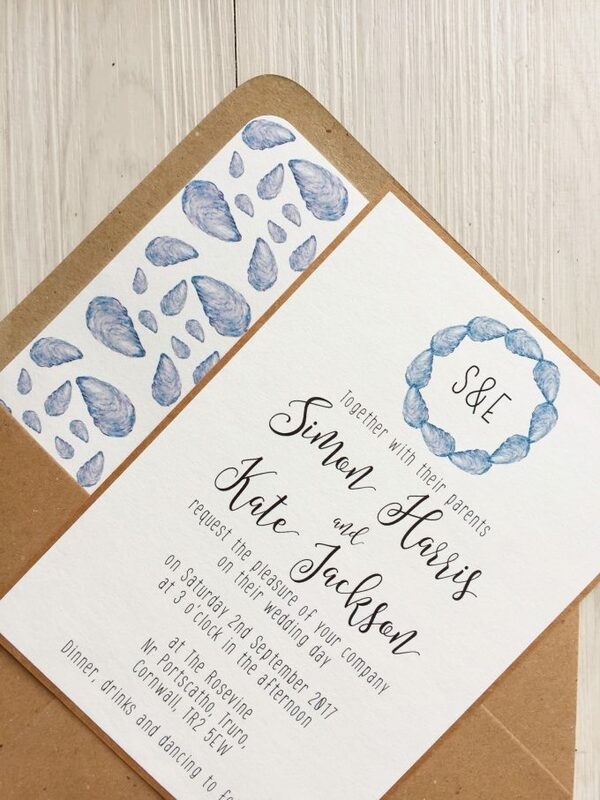 If you’re planning a destination or beach wedding, these invitations are a definite must-have! 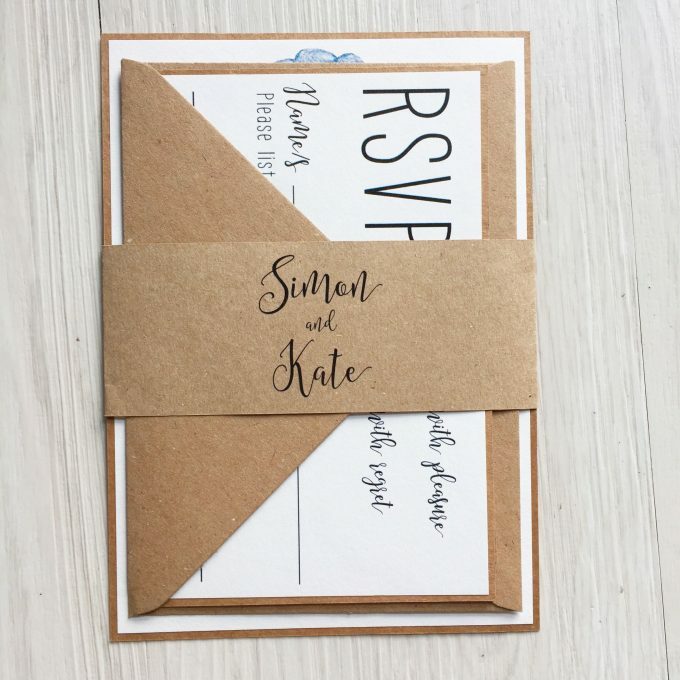 Emma here and when we last shared invites from Creationery, we shared Katy’s greenery invites to illustrate she can customize an invitation to suit your theme perfectly. 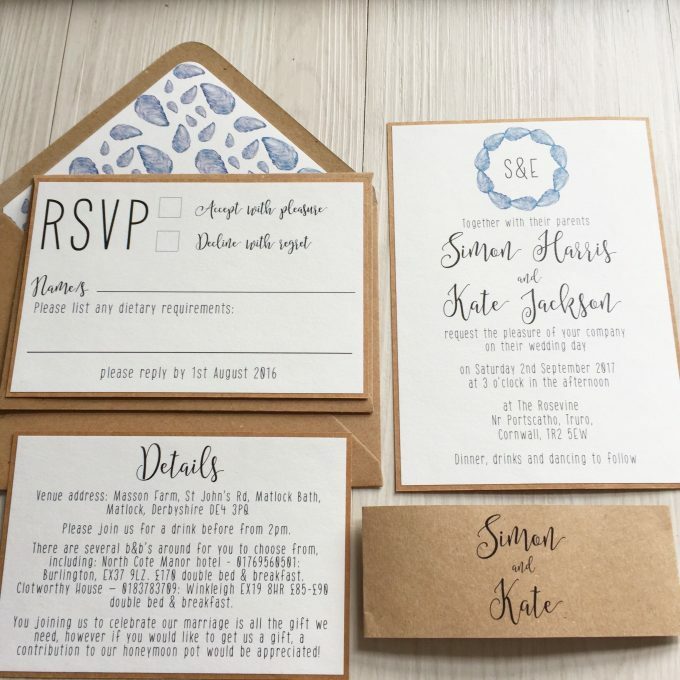 When we spotted her latest seashell beach wedding invitations, we wanted to share them with you for spring and summer beach weddings — one of our favorite themes! When it comes to beach weddings, a seashell theme is one of our top picks. 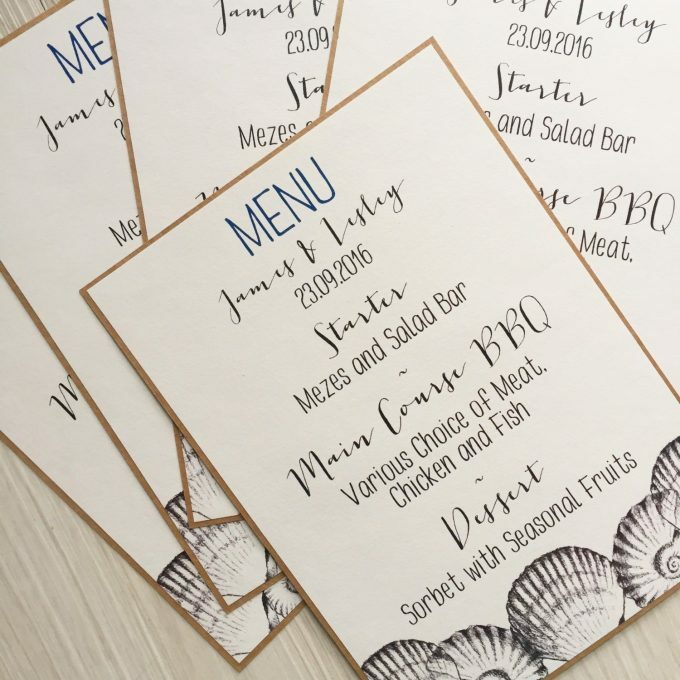 Seashells make a beautiful design element for invitations and look elegant when used as an embellishment for wedding favors or seashell wedding bouquets. 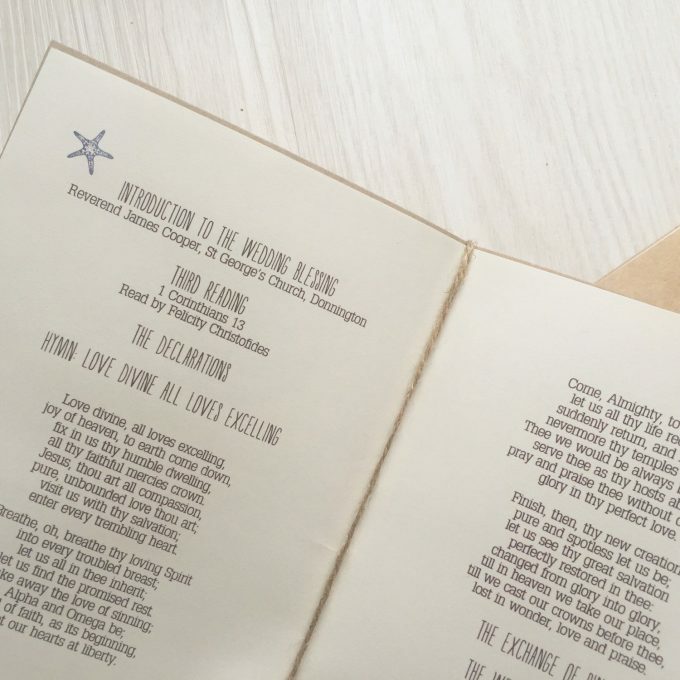 You’re going to love the seashell wedding invites here; we’re sharing photos of the invitation as well as coordinating ceremony programs and menus for a completely cohesive look. Enjoy! 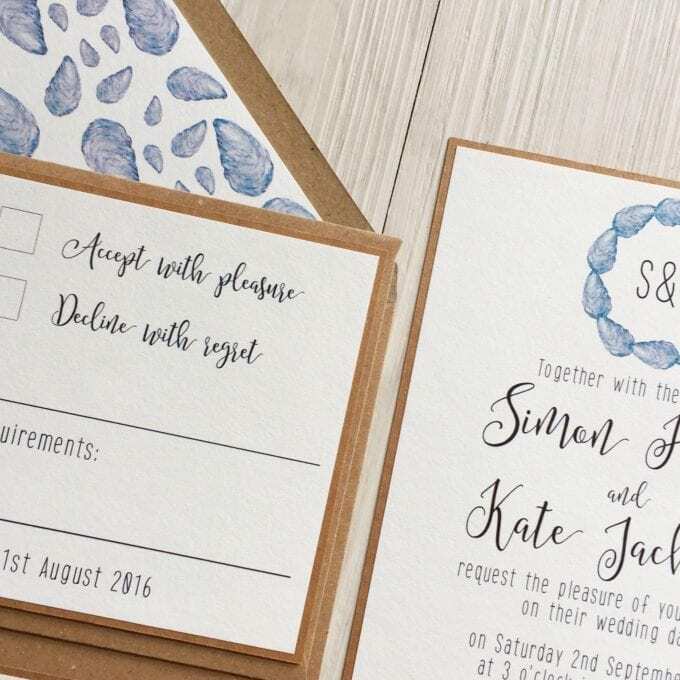 These elegant seashell wedding invitations are completely customized for your wedding. 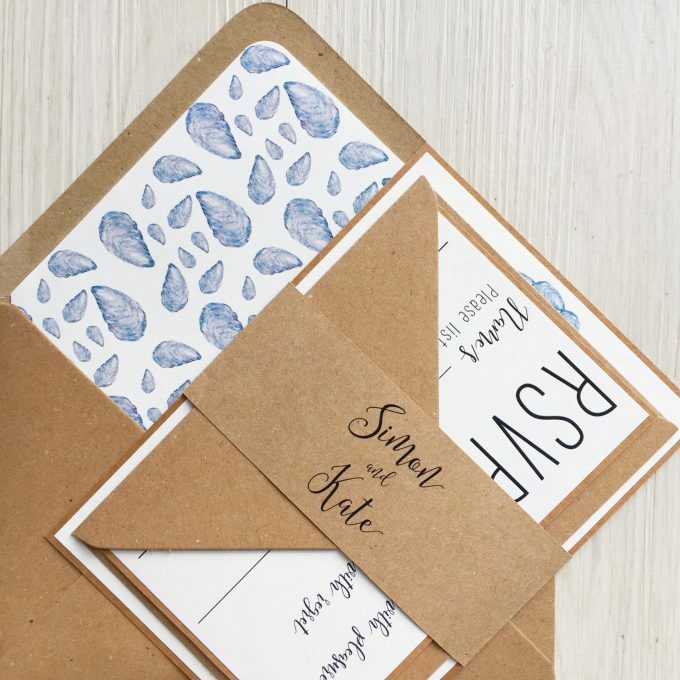 If you’d like, you may order a sample with FREE shipping to UK (small shipping fee applies to US + Canada). 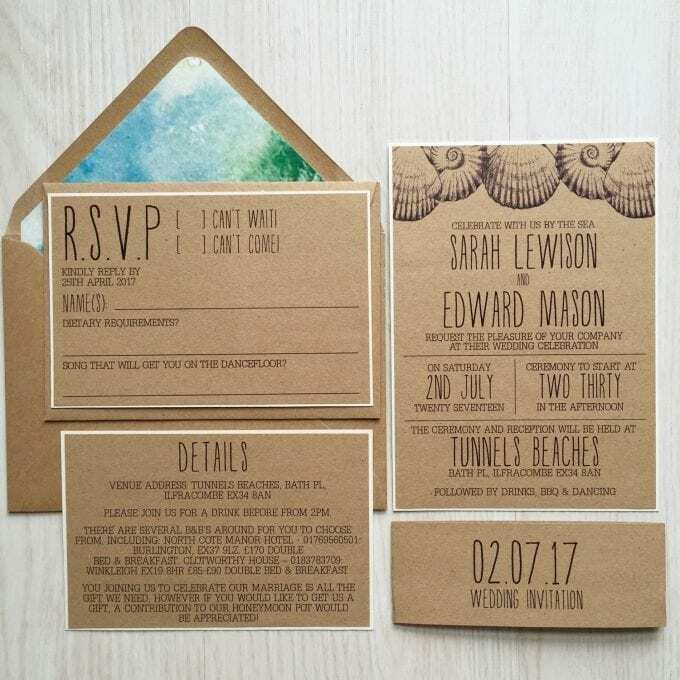 These seashell invites are also available in kraft paper. 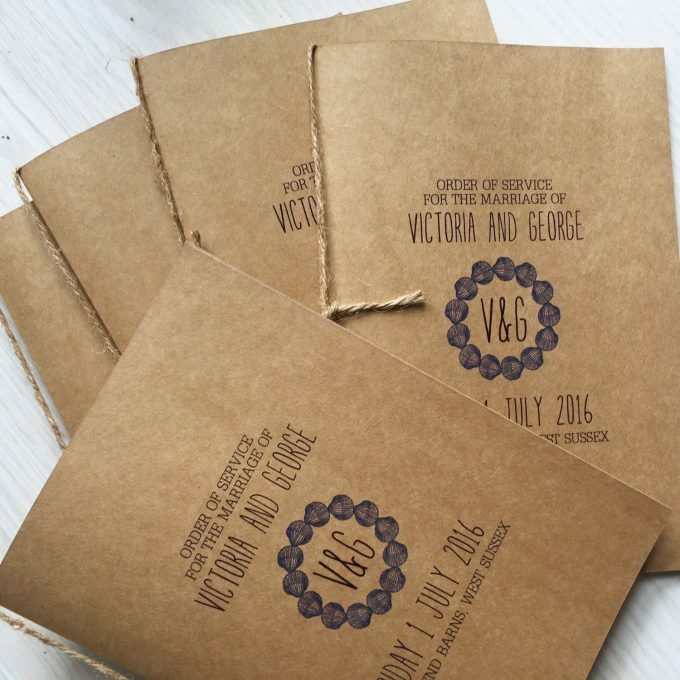 In addition to invitations, you’ll want these coordinating programs for your ceremony. There’s a beautiful order of events included and a timeline on the back cover. 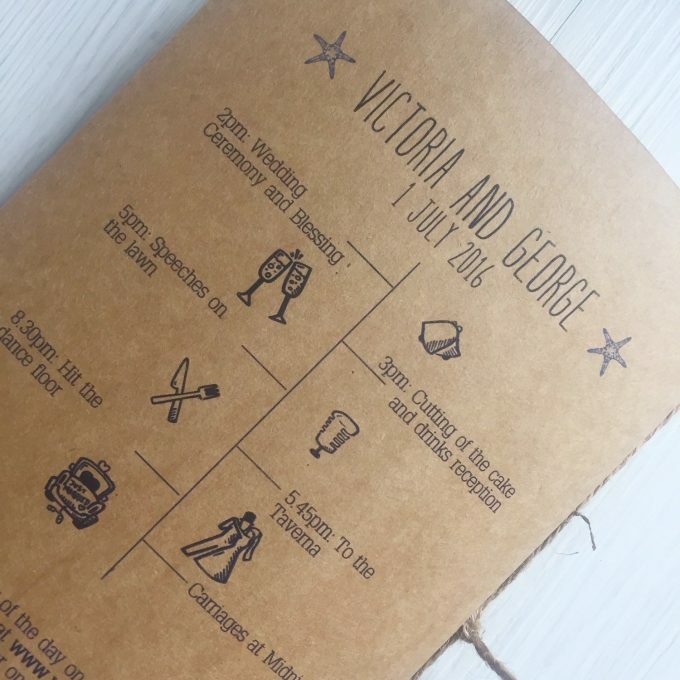 And last but not least, don’t forget a menu to be placed at each guest’s place setting.